Nashville, Tenn. — Danen Kane’s new album, Flesh And Soul, continues to receive strong support from Christian media, since the project’s release in March. Kane has received high-profile reviews and been busy doing several interviews and television appearances that include, Campus Crusade for Christ, CCM Magazine, LeSea Broadcasting “Harvest Show” and “Studio B,” Life With Purpose Radio, Solutions Magazine, JesusFreakHideout.com, Alabama Baptist, KBPK Radio/Fullerton College, among others. 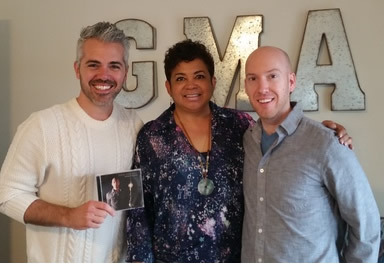 Kane recently made a quick trip to Nashville where he interviewed with World Christian Broadcasting and became a member of the Gospel Music Association. Kane is looking forward to becoming an active member of the organization. For updates on Kane and his upcoming touring schedule, please visit online at www.danenkane.com or www.facebook.com/danenkane.